It has been an extremely long time since my last post. I apologize. The summer has been extremely busy, and to be honest, I just haven’t found the urge to write. I know it defeats the purpose of having a blog, but I really hate when posts are limited to a paragraph that only state: “Keep carts on the paths today” or “Crew is doing a really great job on the course, place is playing great” type of statements. There have been plenty of things happening that would certainly warrant a full page explanation or educational post, but I just can’t find the proper time to really get my thoughts out. So, I decided to fill you in the day after a hurricane and the morning of greens aeration. That doesn’t sound busy, right? Yes, I know, I did just say the terrible phrase of greens aeration. Aerating this time of year actually isn’t that terrible for any party involved. In fact, the greens will heal in and return to normal playing conditions mush faster than normal fall aerations because it is much earlier in the season and the plant is growing a lot faster. We will be aerating the South greens today and tomorrow, and the North greens September 6 and 7. For a more detailed look at our aeration techniques please visit this past post: https://stowacresturf.com/2010/04/30/aeration-over-already/. 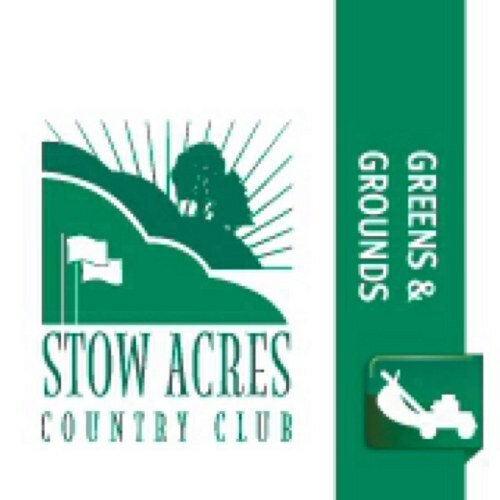 We were extremely fortunate here at Stow Acres Country Club this weekend. The storm did not do too much damage to the courses. It took down about 20 trees total, most were not in play. It brought 5″ of rain and left tees, greens, and fairways littered. Bunkers were washed out and full of water. It took our crew of 14 people about 10 hours to restore both courses to playable conditions. Bunkers, surrounds, and tree lines will receive attention all week as we approach Labor Day weekend. I hope you were as fortunate in this storm, I know some were not. My thoughts go out to those that saw catastrophic damage. August has been a tricky month here at Stow Acres. We have seen very crazy weather patterns, rain amounts slightly above average, warm/humid nights, micro-bursts, and now a tropical storm. Here is to a steady Fall season. See you on the course!